Professor. 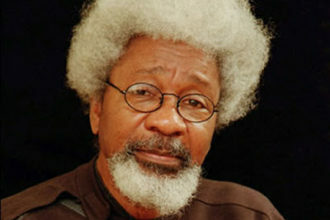 Wole Soyinka, Africa’s first Nobel Laureate for literature and respected playwright, clocks 81 today. It serves as a day to recollect his many contributions to the Nigerian society and often serving as a bastion of integrity in a nation where such a quality is rarity and not the norm. Wole Soyinka is often credited with forming the Pyrates Confraternity in 1952 at the University College, Ibadan. The organisation was formed to fight elitism in the then classist institution. He was unjustly jailed by the Gowon administration by almost three years for opposing the Civil war. He was instrumental in the democratic coalition formed after the June 12, 1993 election was cancelled. He has remained even more influential since the beginning of Nigeria’s fourth republic, often calling government into question. Happy birthday sir!